The sweet spot of the 2015 vintage was Spätlese and Auslese and Weingut Selbach-Oster made the most it, among others with a stunning Spätlese *! Here is the story. Few vintages have been as hyped as 2015 and there is some truth in it. 2015 yielded some stunning wines, and this in all stylistic directions. But not everything that shines is gold. At its heart, 2015 is a ripe vintage, pepped up by glorious zest, with many wines on the powerful side. Only the very best wines will turn into classics in a decade or two. The sweet-spot of the vintage was clearly Spätlese and Auslese. Weingut Selbach-Oster made the most of it, among others with a stunning 2015er Zeltinger Sonnenuhr Spätlese *. 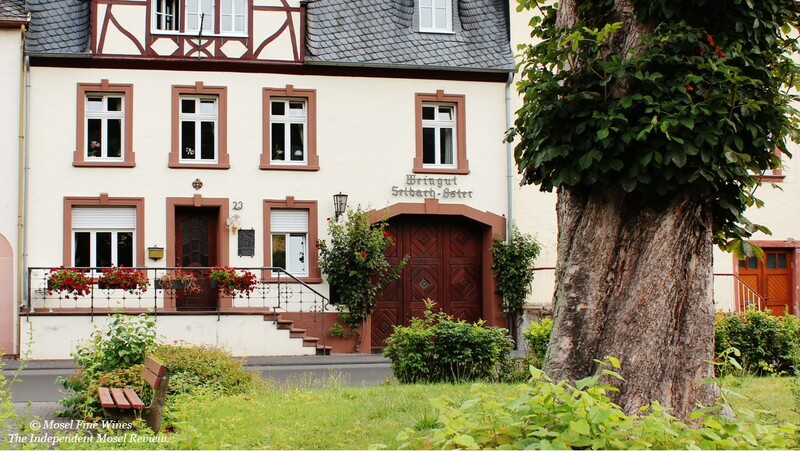 The Weingut Selbach-Oster is one of these classic Estates beyond the shores of the VDP which has developed a devoted following on the back of its gorgeous Riesling packed with flavors. In fact, its wines prove so incredibly easy to enjoy when young that one could be forgiven for not seeing the depth and complexity they reach as they mature. Lately, the Estate started to impress through gorgeous dry and off-dry Riesling as well. For instance, its 2012er Zeltinger Sonnenuhr “Ur”-Alte Reben was a wine of the month back in 2014 and its 2014er Zeltinger Sonnenuhr Spätlese Trocken one of the dry Riesling highlights of the 2014 vintage. 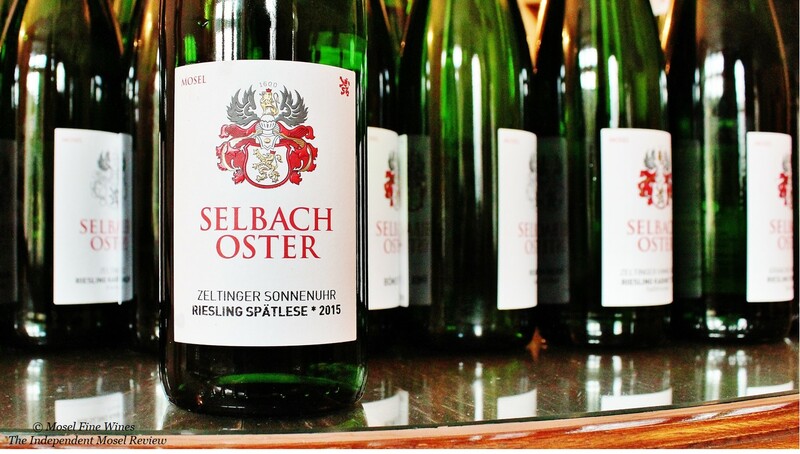 One of the high points of the 2015 collection by Selbach-Oster was its Zeltinger Sonnenuhr Spätlese *. A “Spätlese *”? Isn’t that an “Auslese”? We remember how Johannes Selbach smiled when we put this question to him many few years back: “You may think so indeed but, actually, it is not. At our Estate, a Spätlese * is the modern version of the former feine Spätlese. In great vintages, we bottle the best part of the Zeltinger Sonnenuhr Spätlese separately when it proves much more refined in taste. 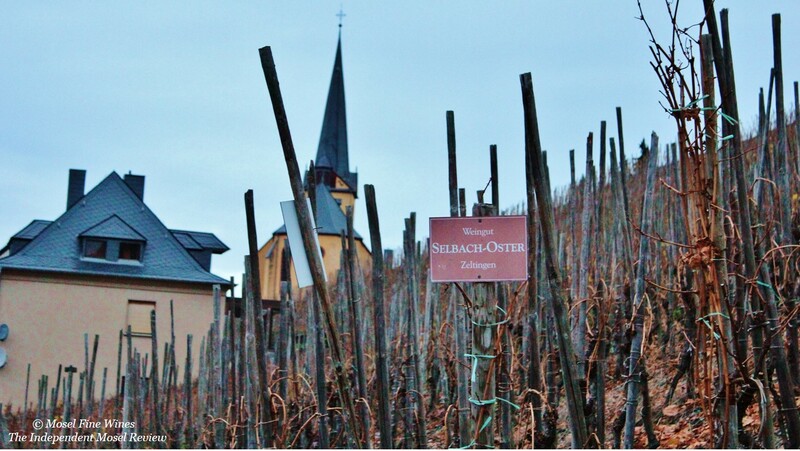 This was the case in 2015.” In some ways, the Spätlese * is therefore the Selbach-Oster counterpart to the auction Spätlese at VDP Mosel or Bernkasteler Ring Estates. The 2015er Zeltinger Sonnenuhr Spätlese * comes from very old vines in the central part of the vineyard and was fermented with ambient yeasts in stainless steel. The wine is absolutely brilliant. It combines freshness with stunning depth and elegance. This is already quite captivating now but is really made for shining in a big decade. Should this Spätlese * not be available in your neck of the world, despair not. Maybe some of the seven Auslese that the estate produced this year are. They are hugely juicy and offer terrific value: Selbach-Oster did bring out the juicy side of the vintage like few others. The captivating 2015 collection of Selbach-Oster was reviewed in Mosel Fine Wines Issue No 32 (Oct 2016). You are a subscriber and miss this Issue? Simply send us a request by email and we will be happy to send you a copy. You are not yet a subscriber and wish to get this Issue? Subscribe free of charge by registering yourself here below and ask us for a copy by email. © Text by Mosel Fine Wines "The Independent Review of Mosel Riesling"
Disclaimer: Mosel Fine Wines is an independent publication and has no commercial relationship with any Estate, association or organization featured in this article.